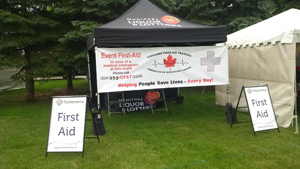 Canadian First-Aid Training offers a variety of mobile first-aid services for your events. 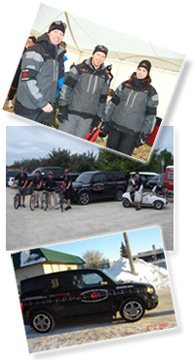 This mobile first-aid service is the only one of its kind in Manitoba! 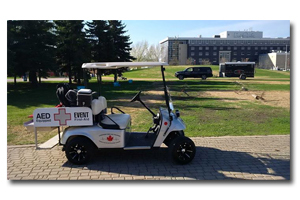 Two certified First- Aiders per golf cart are mobile throughout the entire walk / run or similar type of event. This provides us with the capacity to transport potential sufferers to our designated area to further assess any emergency. It would also make its way to the finish line as the event wraps up. One certified First-Aider will be mobile throughout the entire walk / run. This provides us with the capacity to transport potential sufferers to our designated area to further assess any emergency. It would also make its way to the finish line as the event wraps up and would also follow the last participants. See what type of emergencies we attend to.